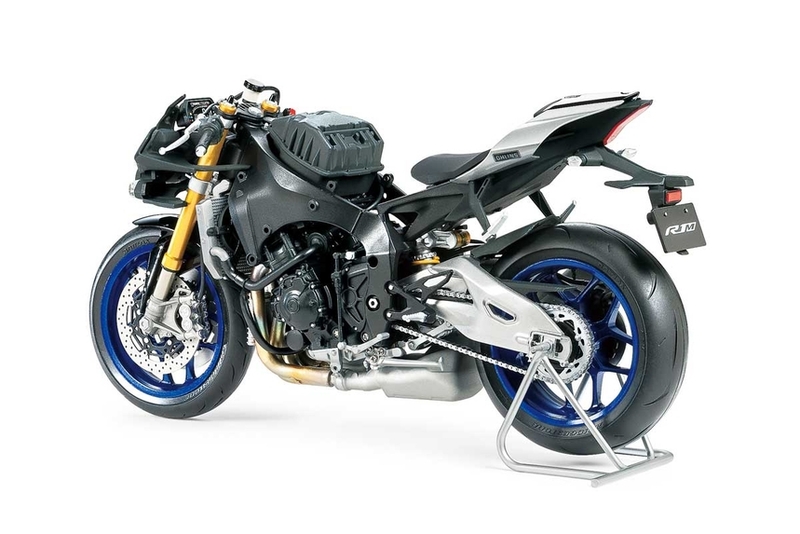 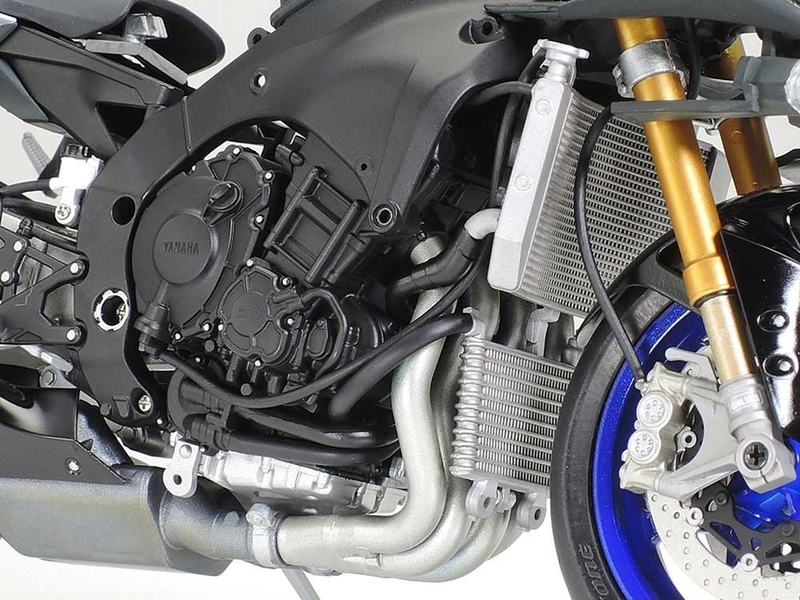 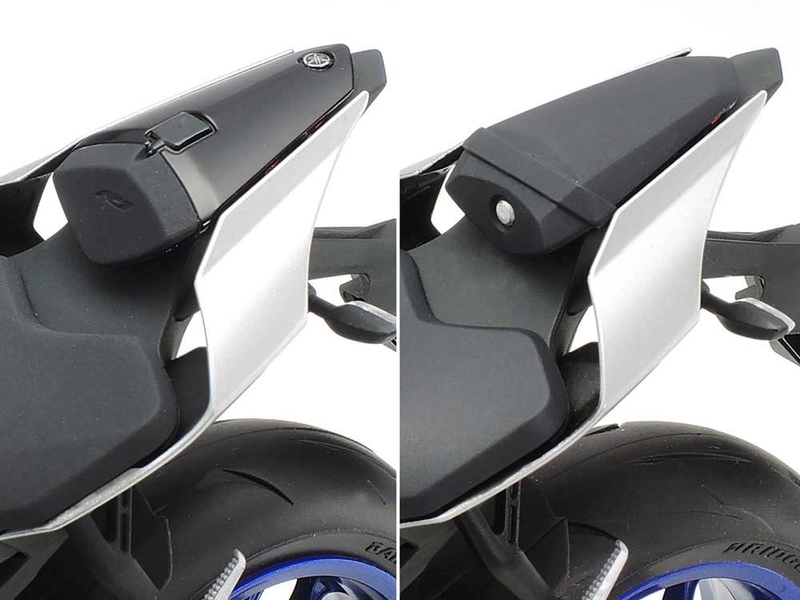 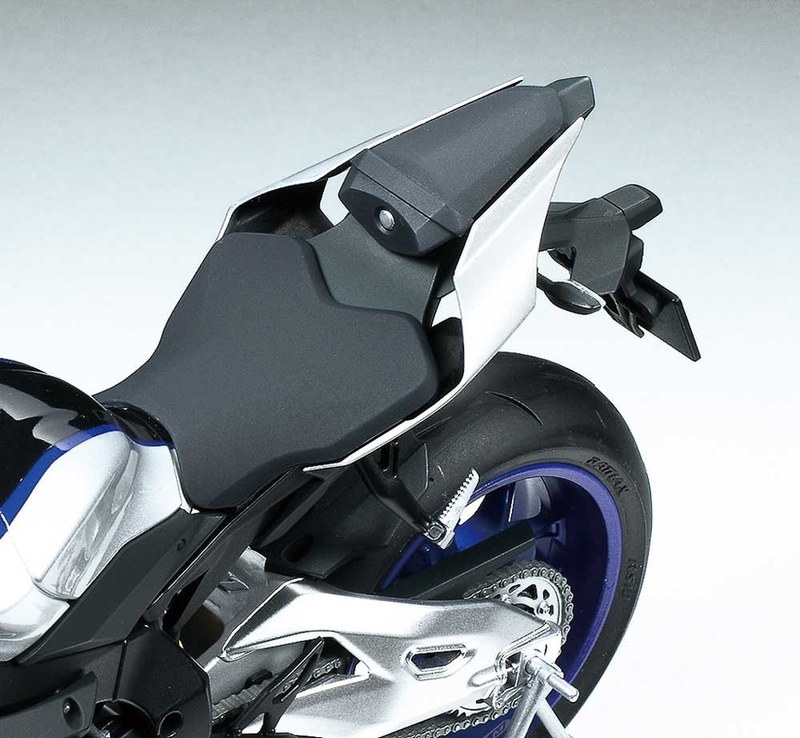 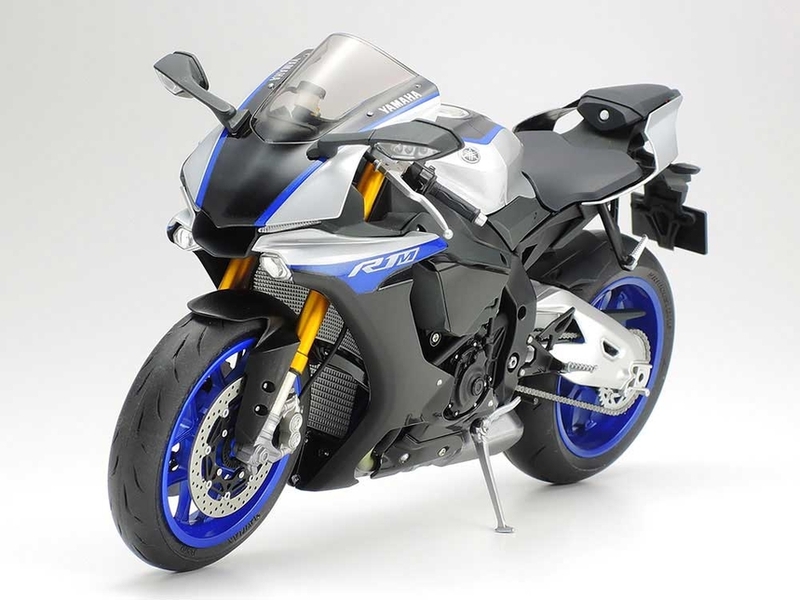 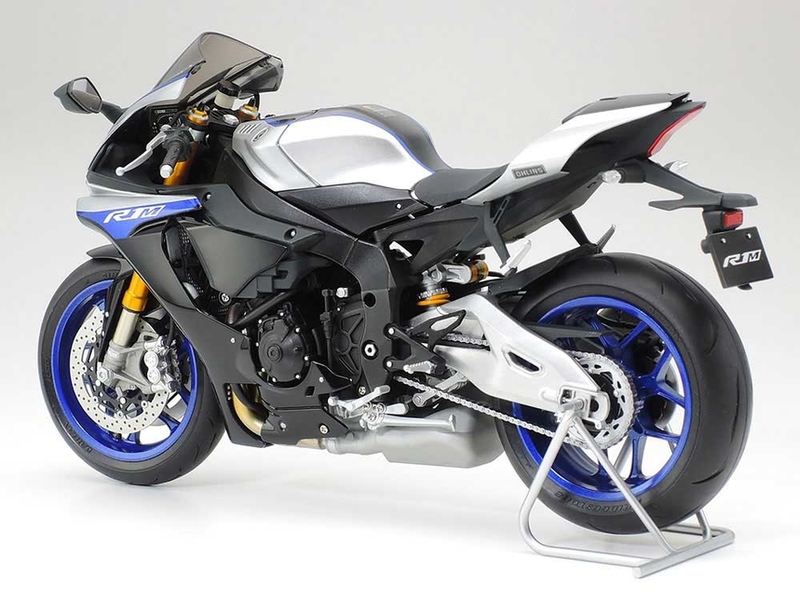 This scale model assembly kit recreates the 2018 spec of the highly successful YZF-R1M. 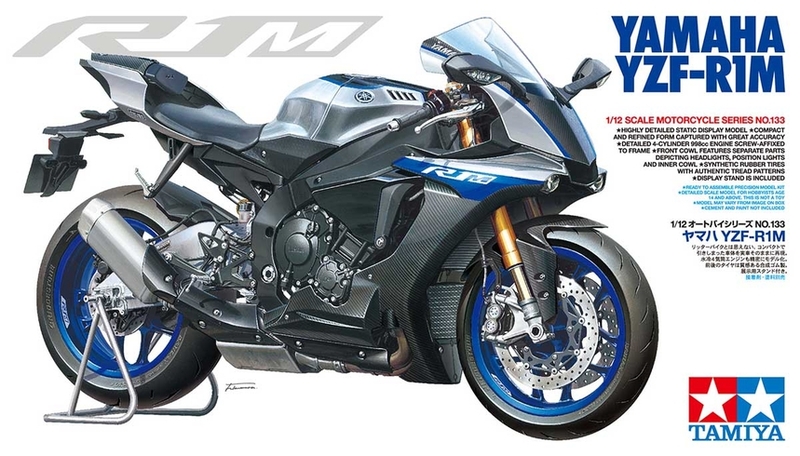 2018 is a landmark year for the long-running YZF-R1, as it celebrates its 20th anniversary. 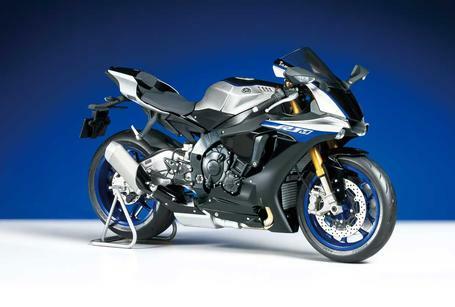 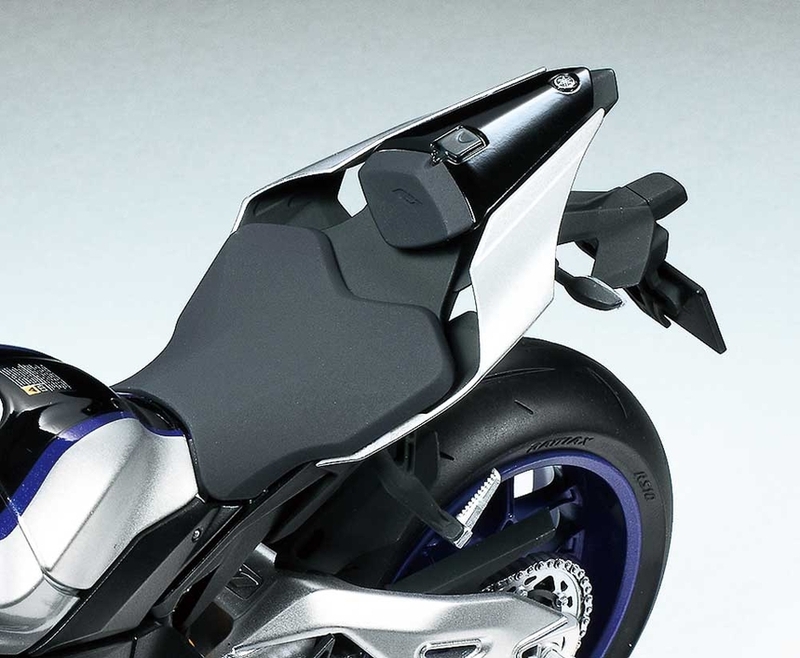 The YZF-R1M is the eighth generation of the bike, released in 2015. 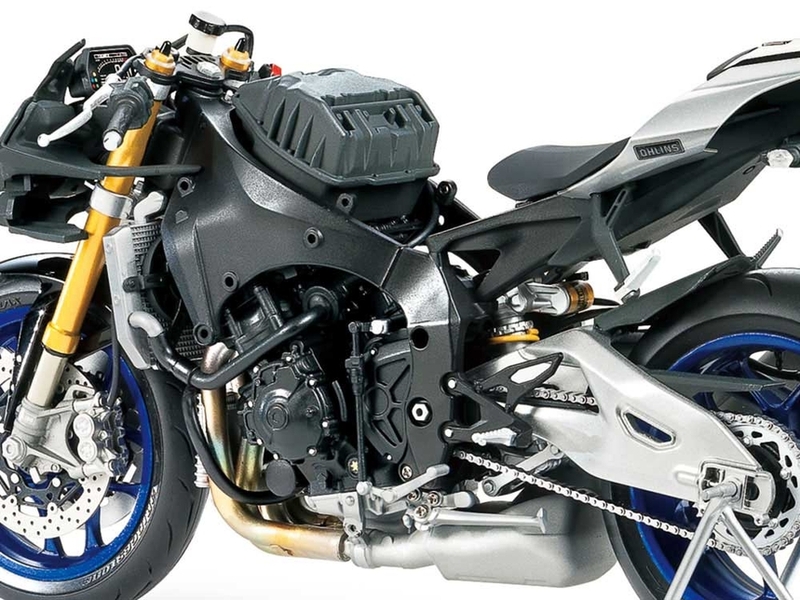 It was designed as a circuit motorcycle, and its design and technology were heavily influenced by data harvested from the YZR-M1 MotoGP bike. 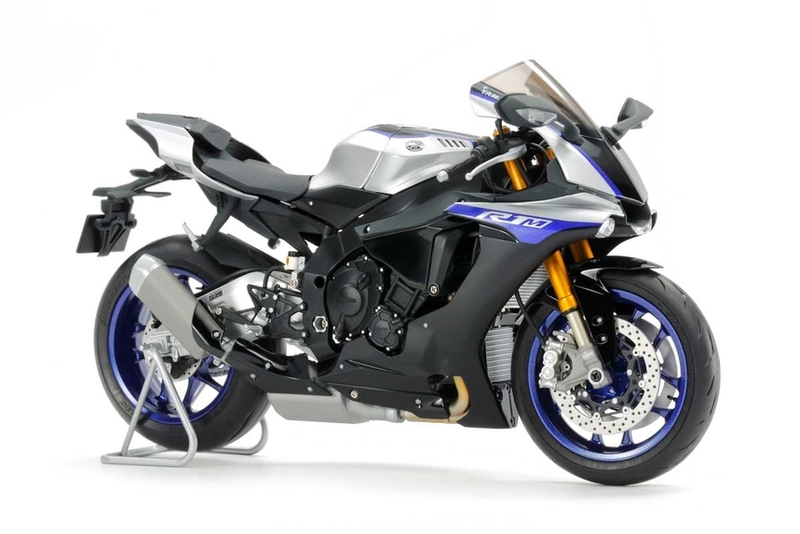 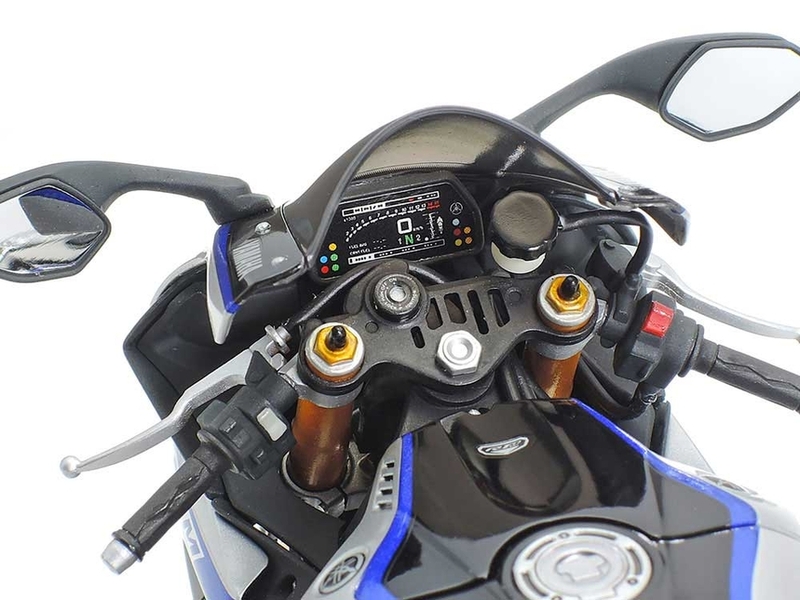 The YZF-R1M has appeared in races such as the Superbike World Championship and All Japan Road Race Championship, one of its highly notable achievements being an astounding three back-to-back wins of the Suzuka 8 Hours between 2015 and 2017. 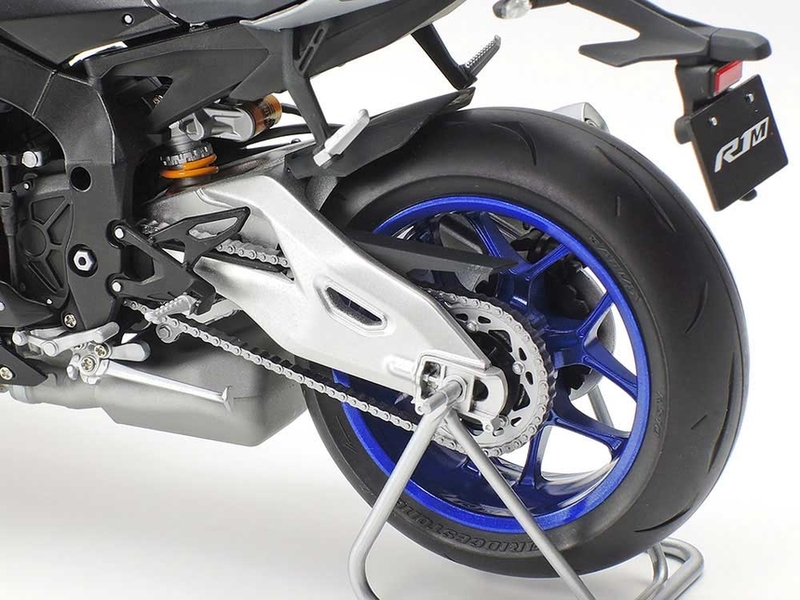 The Tamiya assembly kit model faithfully captures all the details of the full-size bike in every way. 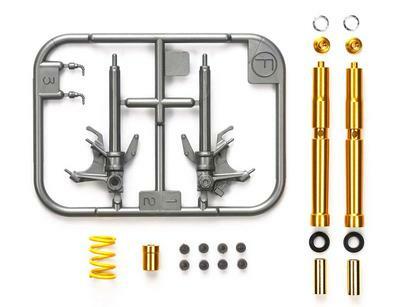 •	1/12 scale plastic model assembly kit. 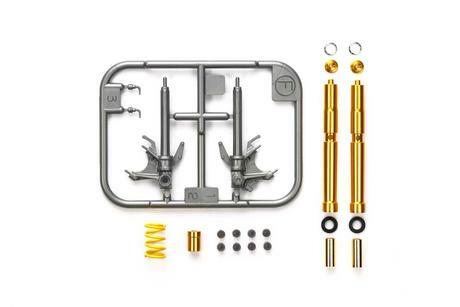 •	Multi-piece recreation of the 4-cylinder engine has superlative detail, from the fine depictions of the radiator, oil cooler and complex cover, to the tubing included to recreate various lines. 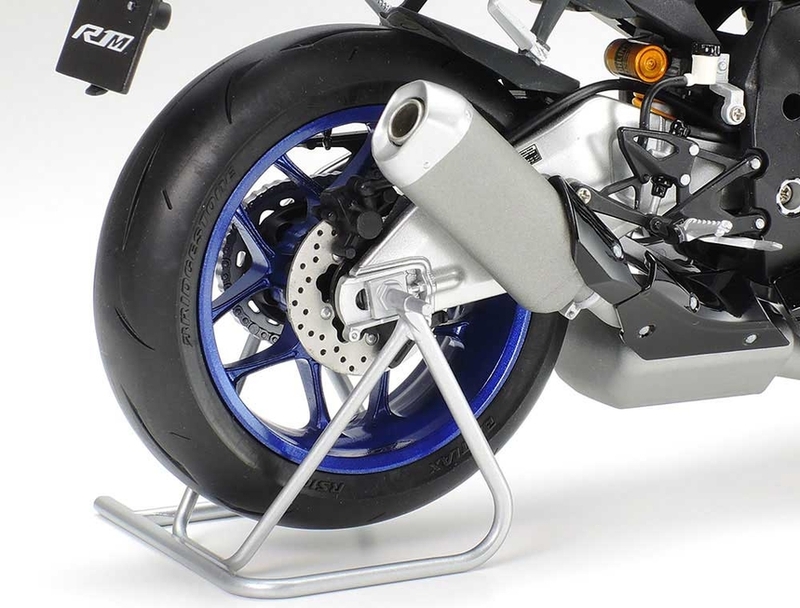 •	Depictions of engine, swing arm, front fork, upper cowl and more are screw-fixed to the frame for maximum precision and durability. 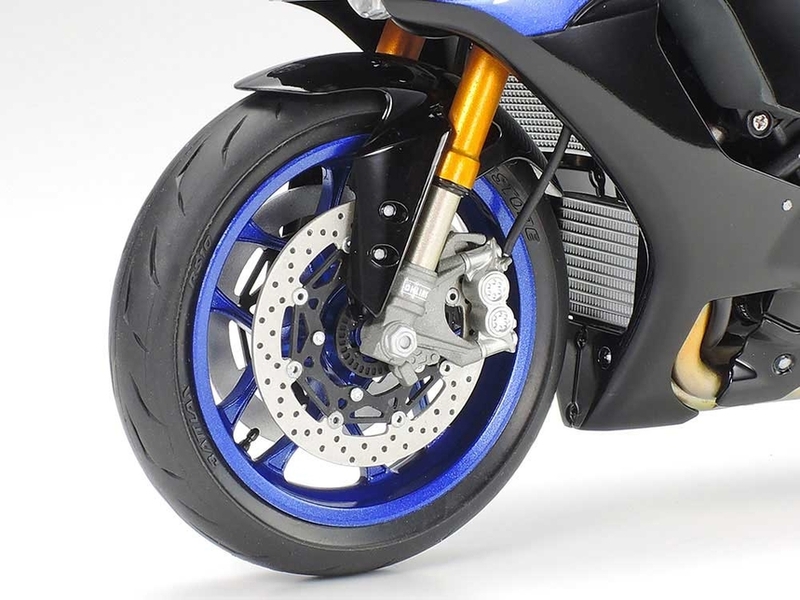 •	New synthetic rubber tires depict Bridgestone Battlax RS10s with realistically-recreated tread pattern. 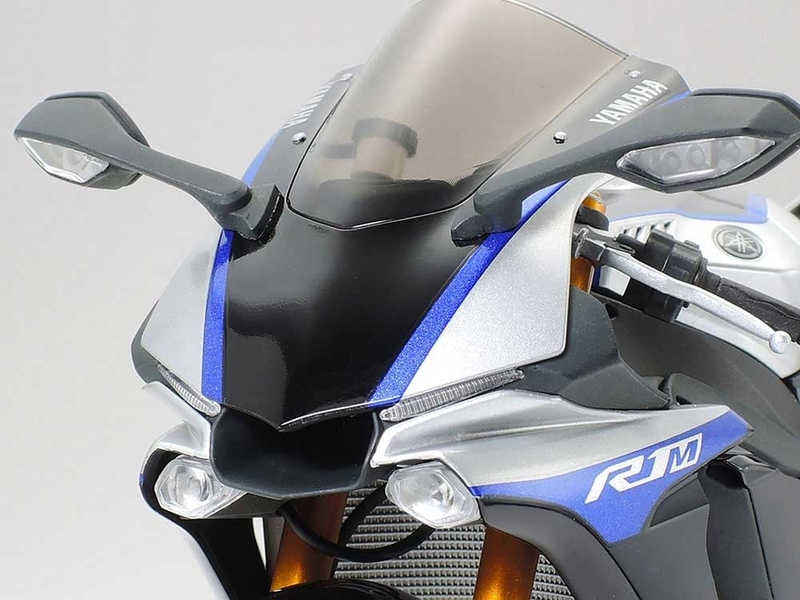 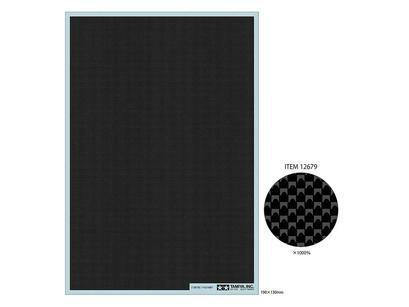 •	Metal transfer to depict Yamaha emblem included. 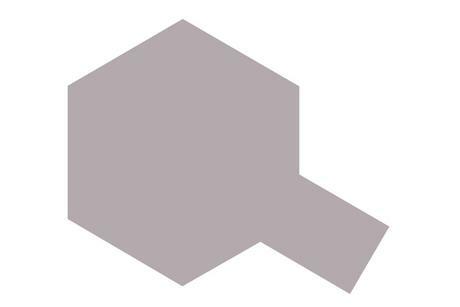 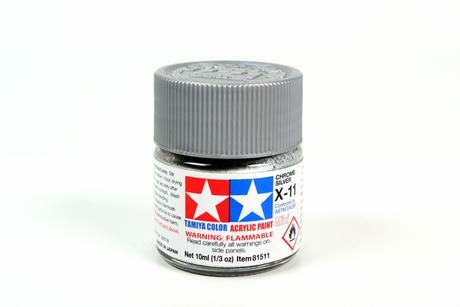 The colors below are the paints called out in the assembly manual of the model kit. 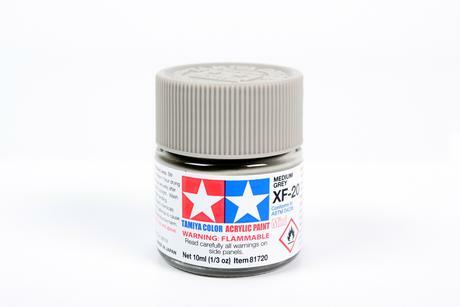 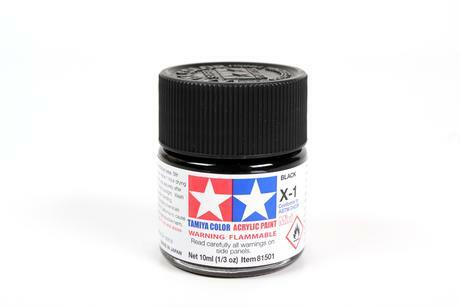 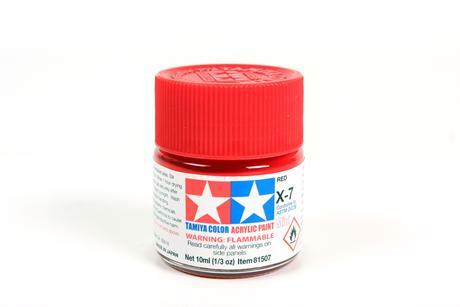 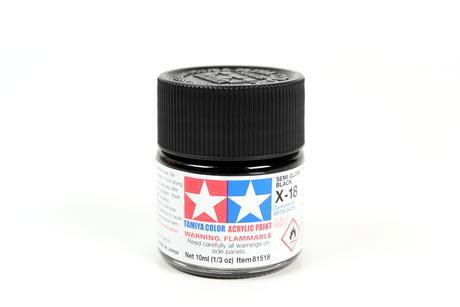 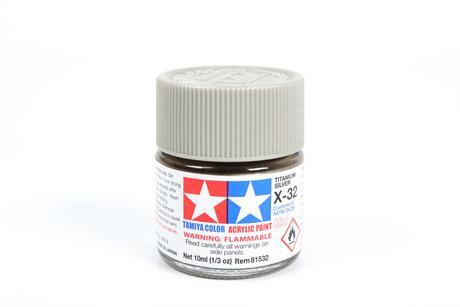 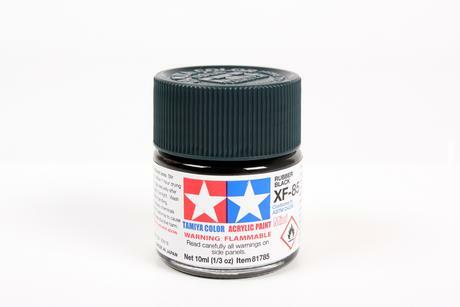 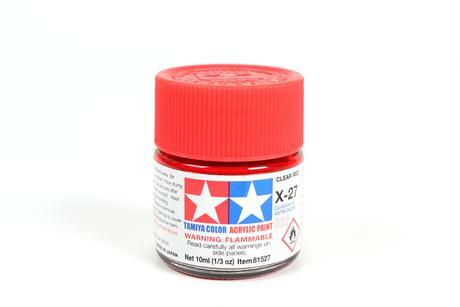 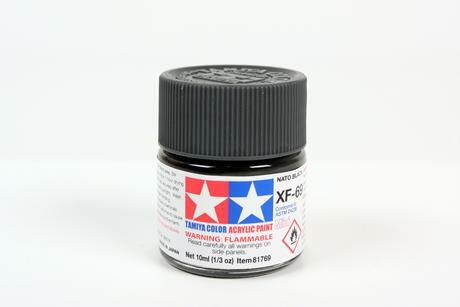 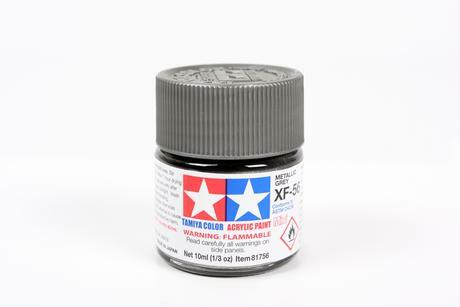 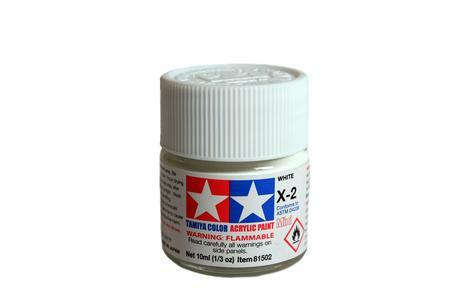 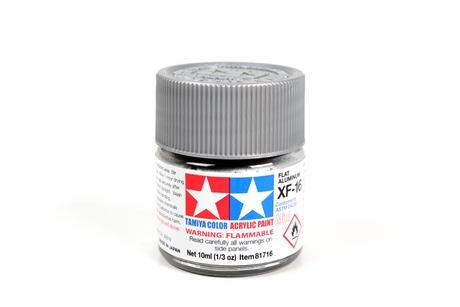 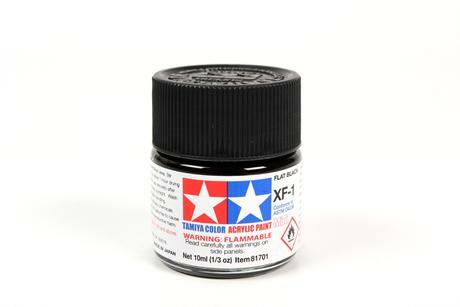 All spray can paints (AS, TS and PS) are available in 100ml.